The creators of the Florio “lineage”, brothers Paolo and Ignazio, were born in Calabria, in Bagnara. After the earthquake of 1783, they moved to Palermo and still very young opened a drugstore in Via Materassai as traders of spices, water, quinine, balms, ointments, and colonial goods. It was an attractive and flourishing trade for wise and enterprising merchants such as they were, in a city populated by ancient and well-established aristocracy and wealthy English families such as the Whitakers, the Sandersons, the Woodhouses, and the Inghams. 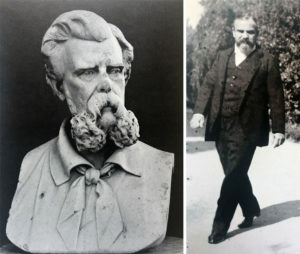 A bust representing Paolo Florio and Ignazio Florio Senior. 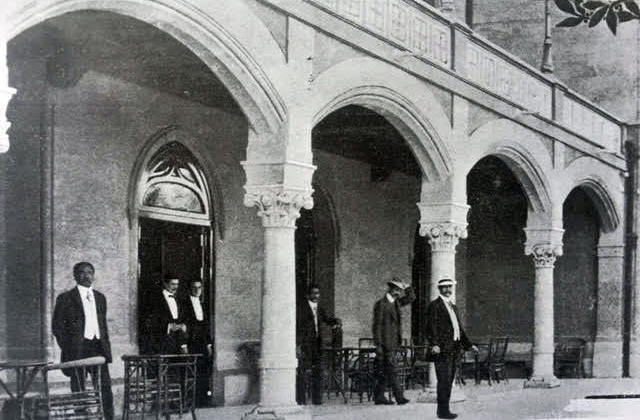 In the generations that followed, and since the early nineteenth century, thanks to the success of their trading business and joined by their sons Ignazio I and Vincenzo I, the Florios gradually became financiers, bankers, manufacturers, shipowners and producers of an excellent wine “Madeira like”, which later turned into the famous Marsala wine. Palermo, 1913. Beccaria-Florio ready for the Tour of Sicily. And they still owned foundries, ceramics factories, businesses of all kinds, including a car factory (Panormitan, 1907 and Beccaria-Florio, 1912-1916), tuna-fishing stations and modern food packaging factories (Favignana’s famous canned tuna) with flourishing business also in the Aegadian Islands, all three owned by them. 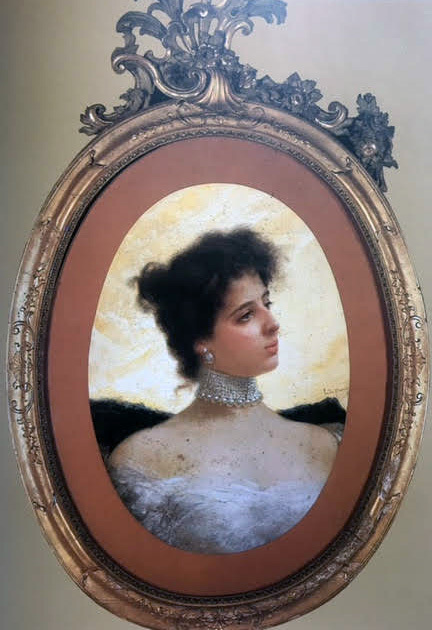 In 1868, the Florios’ wealth was estimated at over four hundred million, an extraordinary heritage that made even the Rotschilds pale. 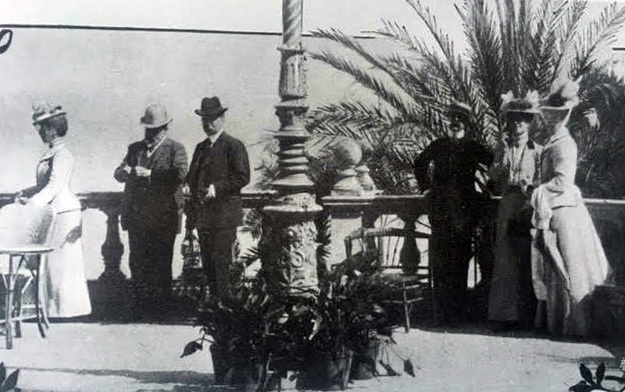 Palermo, 1909. The King of Siam at Villa Igea. Their real estate properties were almost all entrusted to the architectural skills of Ernesto Basile and decorated in the purest and most charming style of the time: the Art Nouveau. Grand Hotel Villa Igea in Palermo represents and still preserves a wonderful example of said style. As Ignazio loved to say, the Florios were Palermo and Palermo was the Florios. Leonardo Sciascia wrote that they lived “in a legendary state of money squandering”! Their guests were powerful figures of the world, from the royals of England to the Kaiser of Germany to the Tsar of Russia, while the jewels of their women made even queens and empresses envious. In 1845, the seventeenth-century Villa Butera, in Olivuzza, was rented out to Tsar Nicholas I and Tsarina Alessandra, to whom the doctors recommended a warmer and sunnier climate. Palermo, 1925. Villa Florio, in Olivuzza. 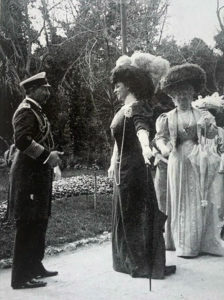 Kaiser Wilhelm II, Franca Florio and the Empress. Palermo, 1909. 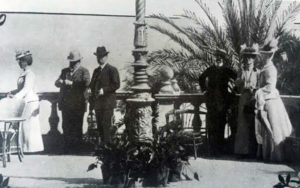 The royal family of England on the terrace of Villa Igea. By the second half of the nineteenth century, the Florios were deemed some of the greatest Italian entrepreneurs and true protagonists of the great industrial revolution that was beginning to change not only Italy but Europe as a whole. 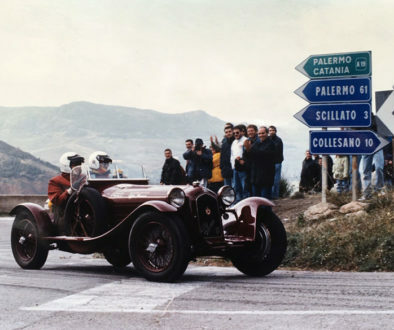 The twentieth century saw the beginning of the latest Vincenzo (1883-1959), the one of Targa Florio, brother-in-law of Franca, born Baroness Jacona of Sangiuliano-Notarbartolo di Villarosa. 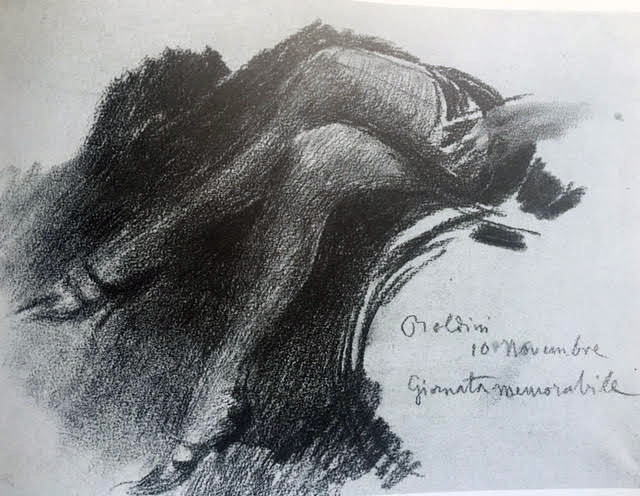 The true queen of Palermo with a life between chronicle and legend, beautiful and elegant or, as Gabriele D’Annunzio defined her in 1897: “brunette, tanned, hawkish, indolent. 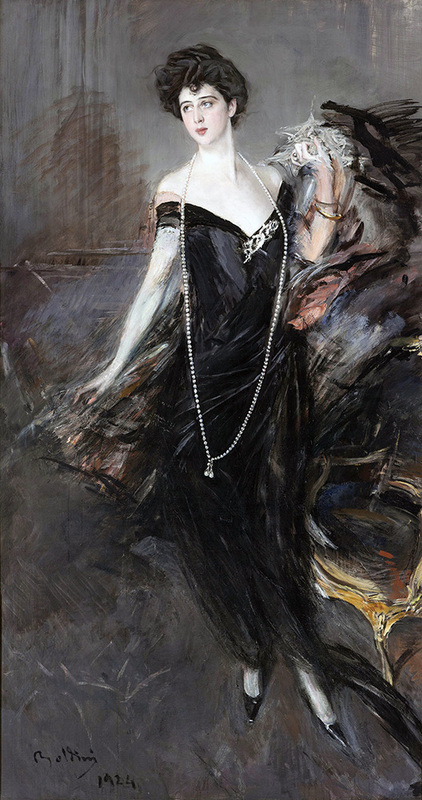 A voluptuous, volatile and penetrating essence radiates from her regal body. Listless and ardent … she promises and disappoints”. 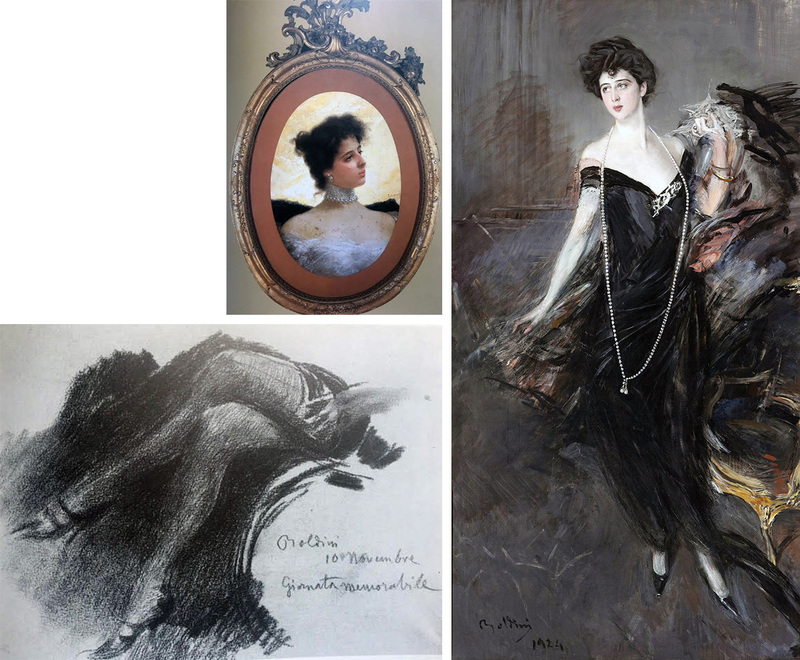 The greatest artists of the time, including Giovanni Boldini, longed to paint those portraits that today confirm her stated beauty. She was a woman of rare beauty, independent, adorable and seductive. Her perfumes became legendary, along with the many servants in uniform who worked in luxury palaces scattered everywhere, her most-sought-after vacation locations, the various yachts on which she sailed and where she organized magnificent parties, without noticing that the times were rapidly changing and their legend inexorably fading. 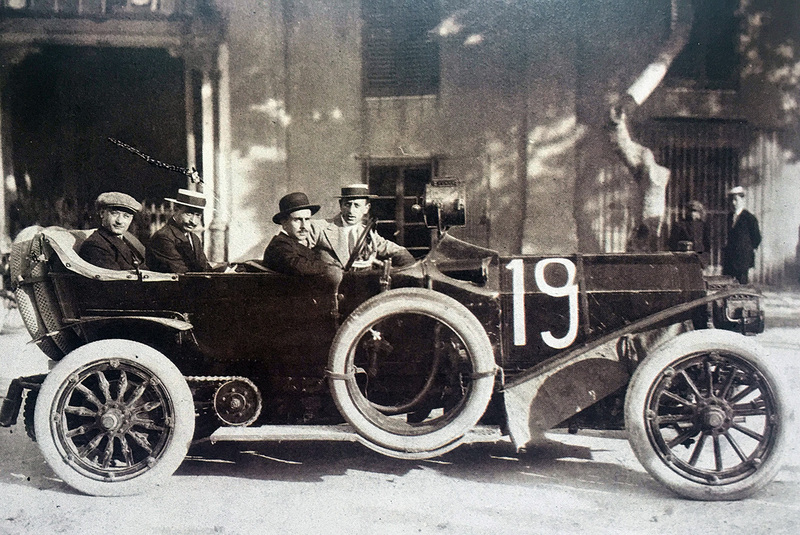 Palermo, the 1920s. 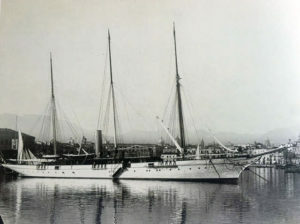 The Aegusa yacth. Palermo, the 1920s. 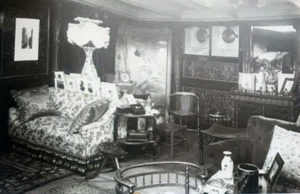 Franca Florio’s cabin. The world changed quickly and drastically; incompetent and dishonest administrators, as well as the ever-increasing volume of debts, pressed on relentlessly, bringing all the businesses of a once “flourishing” and powerful family into the hands of others quickly. 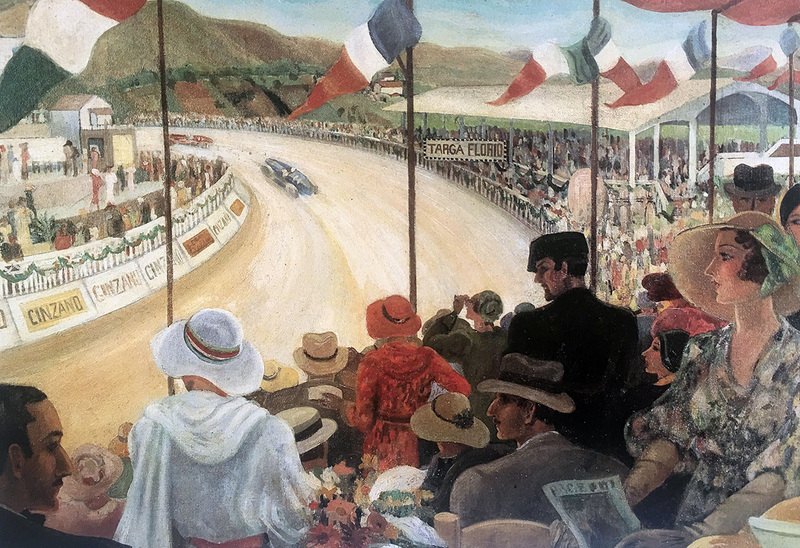 The homes and the memorabilia remained, preserved in Villa all’Arenella or in the hands of museums and major private collections, the legends, the rare Rapiditas magazine and the historical Cantine Florio, now owned by Ilva di Saronno, the one of the famous “Amaretti di Saronno” sweets. 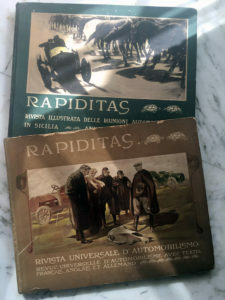 The first two issues of Rapiditas, 1906 and 1907. 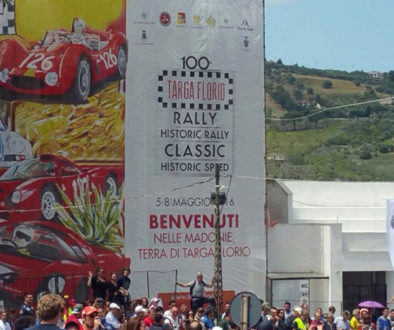 The Florios’ was a short, splendid, thrilling and epic age, now legendary, while the myth of Vincenzo survived the test of time and so did Targa Florio, which he designed and organized on the Madonie since 1906. Just at the dawn of the automobiles and in an impervious area of Sicily, then unknown to most people, where misery was the daily bread of families and farmers worked the land with the same methods that Homer described in the Iliad. 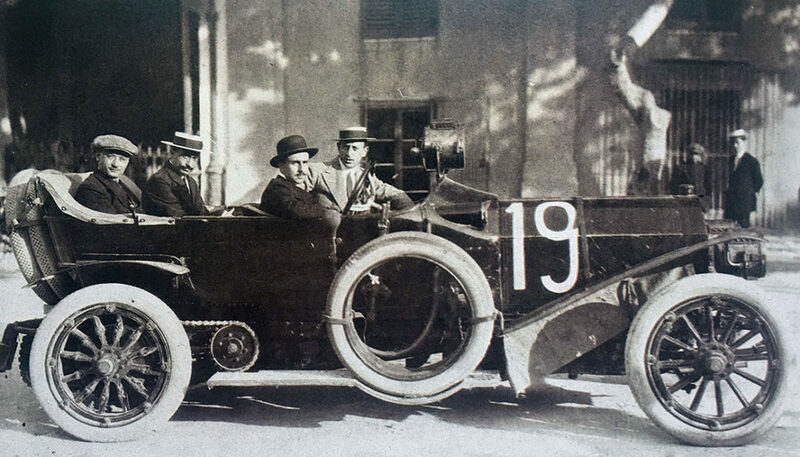 He designed and created Targa together with his Parisian friends Desgrange, Faroux, and Meurisse, when there were still no test tracks or wind tunnels so that the race would act as a natural and charming lab where to test cars and… people’s character! And that race, the Targa race, organised by a member of the Florio family, one of the most prominent figures of the time, brought to Palermo at the beginning of the twentieth century the major car manufacturers with the most famous drivers of the moment, sports journalists and journalists in general from around the world and with them “the dernier cri de Paris” while the city, in the past the headquarters of the Kingdom of Sicily, or rather of the Two Sicilies, was back to living the glory and events that brought undoubted benefits to the entire region, leading to a gradual awakening from its ancient sleep. The highest and most representative personalities, from the royal family of Savoy to the European aristocracy as well various institutions and administrations were involved in the event. 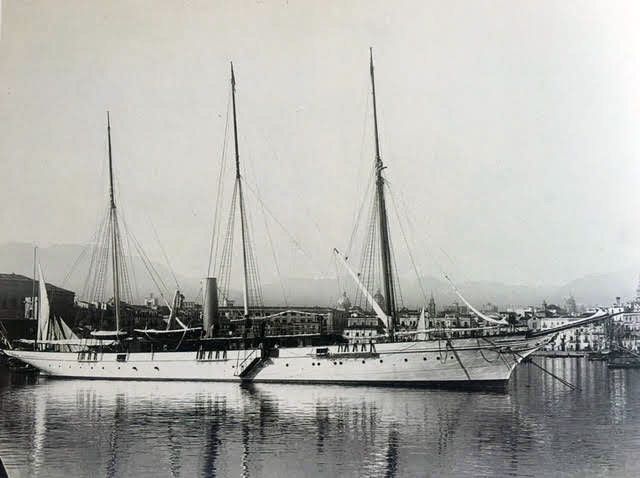 Everything was like a perfect organizational machine, from the transportation aboard merchant steamers, obviously owned by the Florios, to the Railways of the Kingdom, the Royal Carabinieri and the army all the way to the Red Cross, the Royal Posts and Telegraphs. Nothing was left to chance. And it was immediately a success. “… May the foreign drivers head safely to the mountains of Sicily, and if their car were to stop in the barren and wild gorges of the land, they shall not be afraid: the mountain dwellers will not point their rifles at them but will offer them their hospitality. 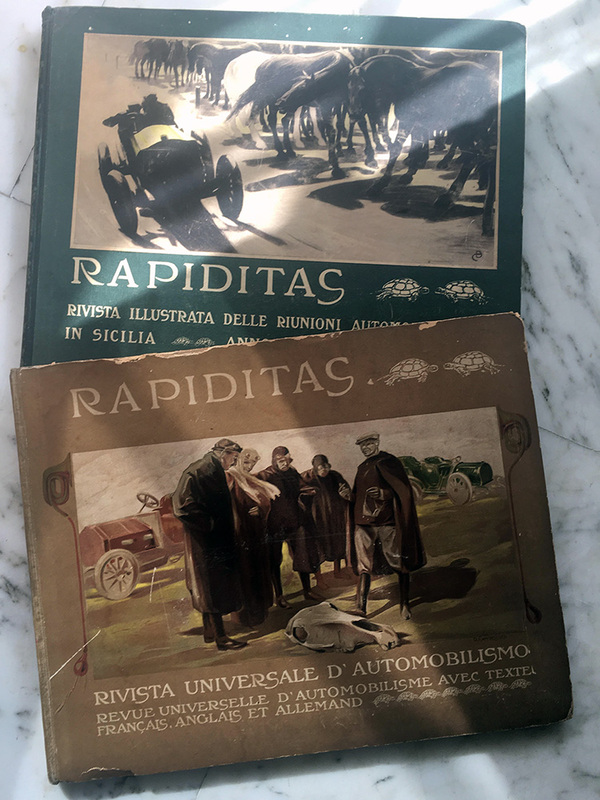 They shall not ask them for money, but shall give them wild flowers and shall be offended by the offer of a market value compensation … “ This was what Baron Jacona della Motta, Franca Florio’s father, wrote in the Rapiditas magazine. 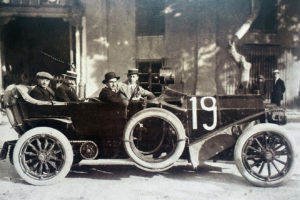 Since its first edition, in 1906, the Sicilian race had major international resonance and the European manufacturers, stimulated by the enthusiasm of the press well stirred by Vincenzo Florio, began to speak of the difficult racetrack of the Madonie as the best test bench where to assess the quality of the cars and the skills of the drivers. 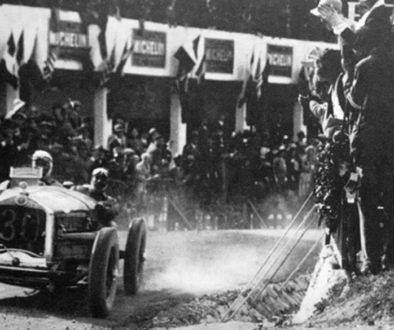 The car that won the Targa also conquered the market due to the major success that this race, valid for the European Championship Speed in the Mountains, represented across the globe. 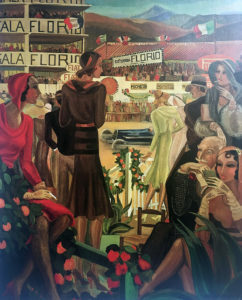 In the second half of the thirties, the financial situation of the Florios almost suddenly collapsed and Vincenzo was left with just a very modest heritage. 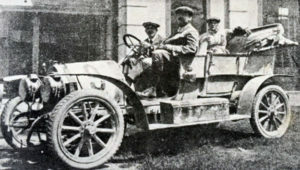 He was of course abandoned by almost everyone and with much sadness and disappointment he moved for a period to Tripoli. But strong of its name and supported by the Government, the race continued on, even if with its ups and downs. Alfa Romeo, Porsche and Ferrari won almost every race since the ’70s when, due to the ever more frequent accidents, the historic race was suspended, downgraded and finally tuned into a Rally Championship. Today, it still exists thanks to the passion of collectors of vintage cars and the Automobile Club of Italy that every year renews the tradition and the legend. The ancient splendours that made it famous have been lost along with the surrounding luxury that nowadays, unfortunately, globalisation and decadence impose. But we still talk about it and we still dream about it. 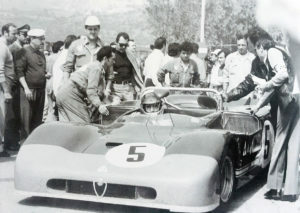 Historical Targa Florio, 1986. 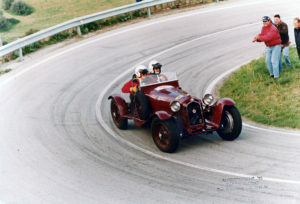 Bivio Scillato, Stefano d’Amico on Alfa Romeo 8C, Monza model, 1932. The images used in this article are for illustrative purposes and belong to their respective owners.